We are celebrating love this month and sharing it with you. We have put together some of our lovely products into a goodie bag to die for. This goodie bag is yours to win by going on our Twitter feed. The winner will be announced on 7th February, to allow us to ship the prizes in time for Valentine’s Day. This is a lovely prize and we hope you will enjoy it as much as we have enjoyed picking out our favourite Valentine items. 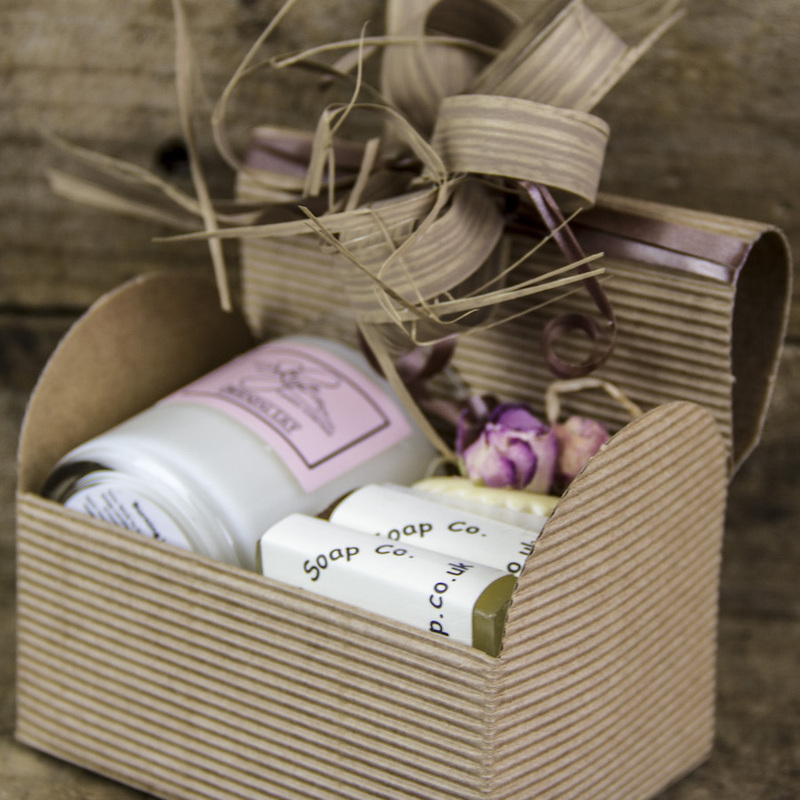 Well, for a start, the winner will receive “his and hers” gift boxes which include two of our natural soaps, Isle of Skye Candle Company scented candles, shaving balm and bubble bath melt cupcake. Cedarwood, juniper and lemongrass are the key scents for men, oriental lily, lavender, and ylang ylang for the ladies. 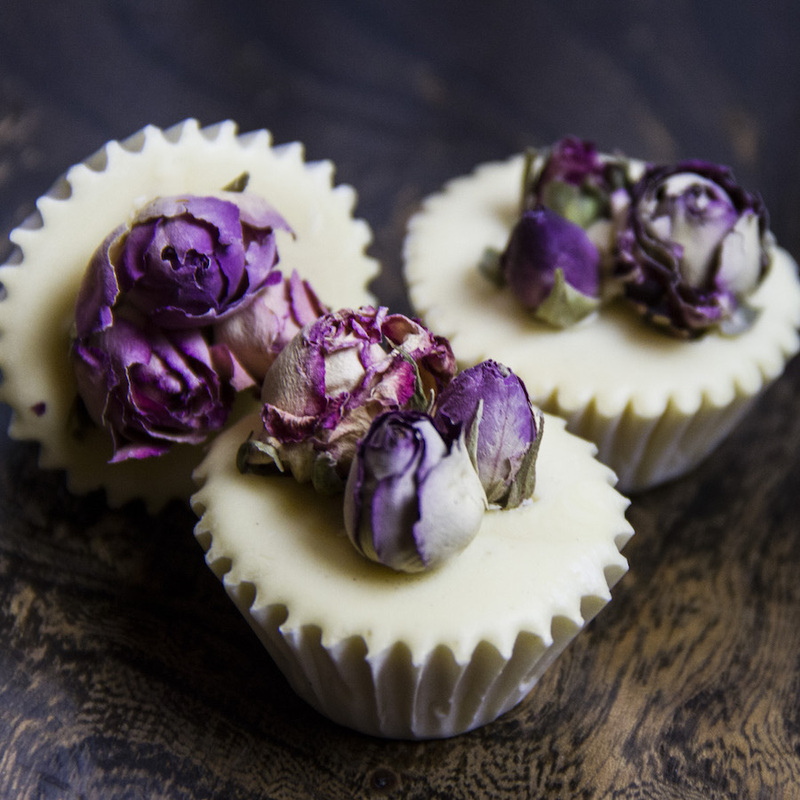 On top of that, we have put together a sample of our favourite guest soaps in a lovely metal pot. 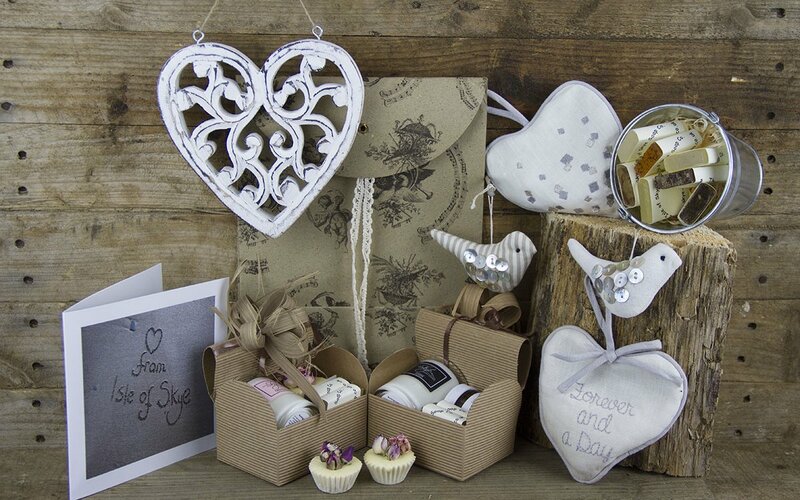 Finally, we have added in some lavender-filled padded fabric hearts and button birds, a beautiful greetings card (with a quirk1) and a cherub-themed gift bag to ensure you have everything you need to make this Valentine’s Day special (and easy). We have also created a special area in our shop for you to buy all of these goodies individually should you wish to treat someone else or yourself for that matter. So get ready to like and share and happy Valentine’s Day!